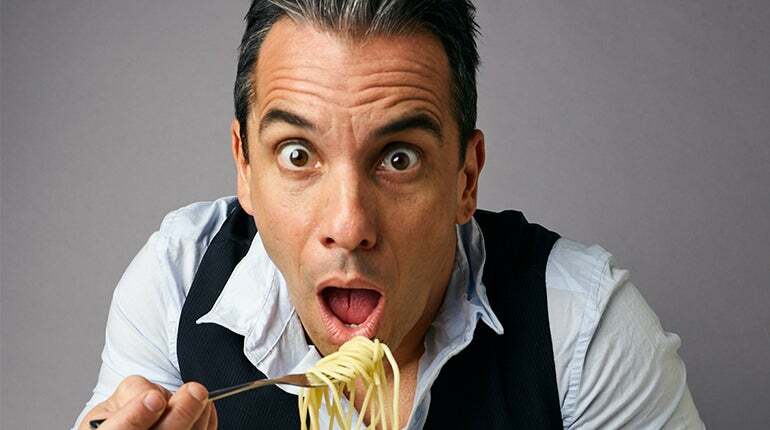 On the heels of a wildly successful start to 2018, comedian, actor, author Sebastian Maniscalco kicks off the fall leg of his blockbuster “Stay Hungry” international tour. The tour will make its way across the US and Canada with a stop at the Vina Robles Amphitheatre on Saturday, September 22. Maniscalco recently wrapped the spring leg of his tour with five sold-out shows at New York’s iconic Radio City Music Hall. People Magazine’s “The comedian’s comedian” broke the historic venue’s record with his appearances ranking him the highest grossing comedy weekend in their 85+ year history. Fans around the world hungry to see the performance will get their chance as the set was filmed for an upcoming Netflix special to air later this year. Details will be announced soon.